Expectant mothers and fathers have unique workplace needs. Not only are there federal and state laws governing their time and treatment in the office, there are also special employer considerations as employees become parents. “The best time to plan for how you will manage expectant employees is well before you have expectant employees,” said Joseph Jackson, Founder and Managing Partner of The Resource Squad. Jackson advises that employers know the standards of the Family Medical Leave Act (FMLA), Americans with Disabilities Act (ADA), and Pregnancy Disability Act. Incorporating compliance into your employee policies and procedures is key. In addition, Jackson suggests you should research state laws. Some regulations are based on the number of employees, so be prepared to adjust if your staff size changes. Regulations concerning expectant parents are not necessarily gender specific, advises Jackson. So, your workplace policies should strive to be gender-inclusive. Your internal policies are a vital consideration, according to Jackson. Will you decide to adhere to the minimum required federal and state standards, or will you offer more to your employees? “Whatever you decide, it should be part of your written employee policies and should be administered consistently,” he said. Remember that policies should account for expectant mothers and fathers before, during, and after childbirth. During pregnancy, time off may be required for medical appointments, Jackson noted. Make sure that your policies address that. After birth, the new mother or father may want to take time with the newborn. “Know where you align with federal and state requirements,” he advised. In some states, there are laws that require private places and, in some cases, refrigerators for breast-feeding mothers. Be prepared to accommodate these needs. Policies are not just limited to traditional births. Parents who adopt or have children through surrogacy should also be covered by any internal guidelines as well. 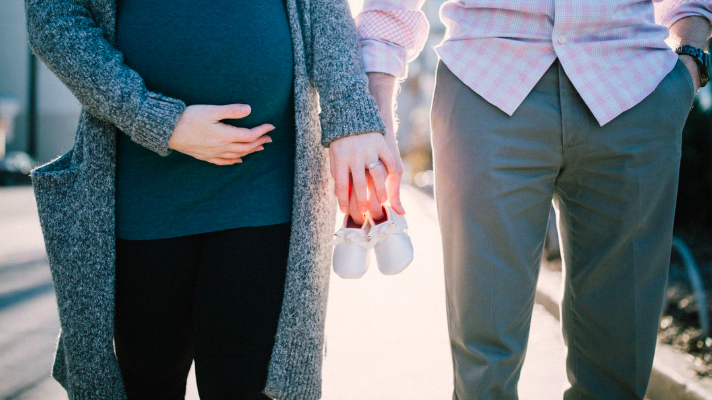 A skilled HR organization, such as The Resource Squad, can assist you in reviewing or writing your policies for expectant parents to ensure compliance with laws and alignment with best practices. “There is no need to reinvent the wheel,” said Jackson. “An experienced HR professional can help you arrive at a policy that not only incorporates federal and state standards, but also gives employees the benefits consistent with your company’s mission,” he added.